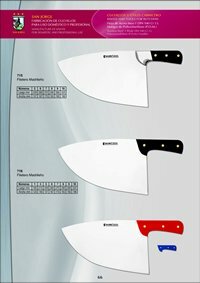 Professional butcher knives. 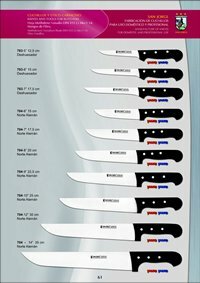 Stainless steel blade. 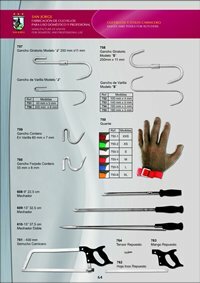 Proflex handle. 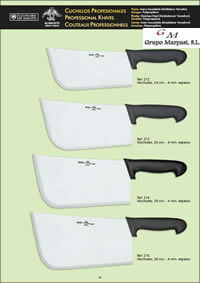 Bleeding, Skinner, tripero, Boning. 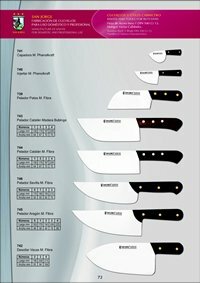 Professional butcher knives. 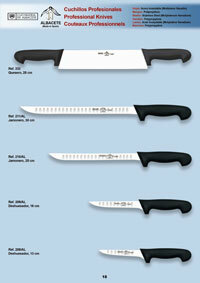 NITRUM stainless steel blade, polypropylene handle covered with elastomer. 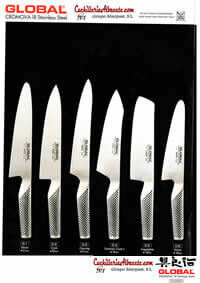 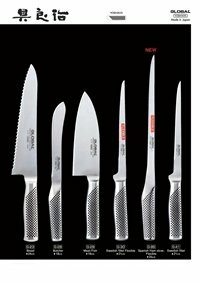 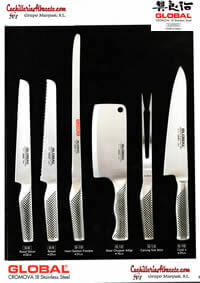 Professional chef knives and butcher, stainless steel blade and handle NITRUM POM. 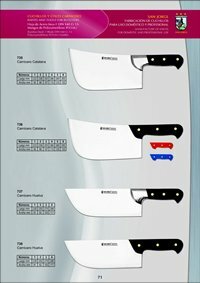 UNIVERSAL model. 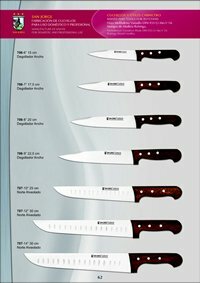 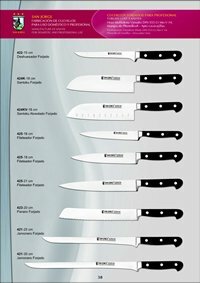 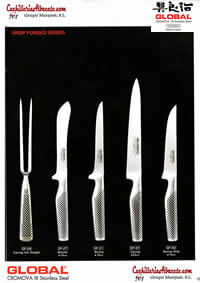 Professional butcher knives and pastry. 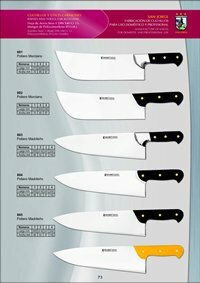 NITRUM stainless steel blade. 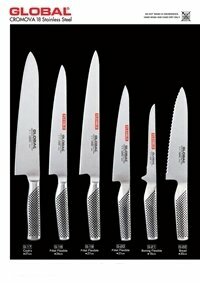 POM Mango. 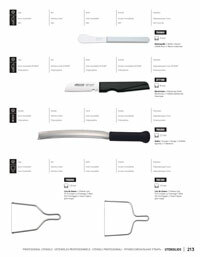 UNIVERSAL series. 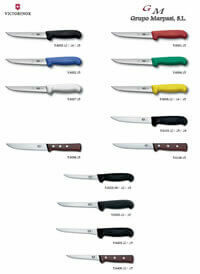 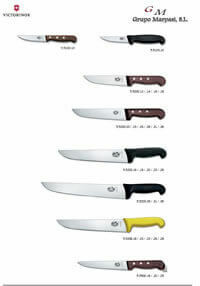 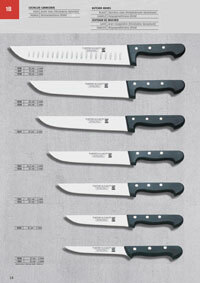 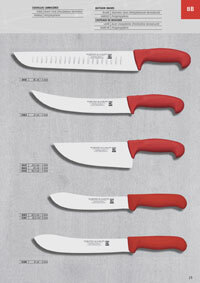 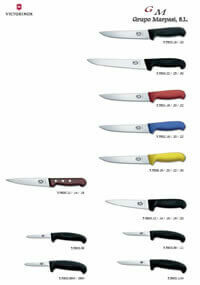 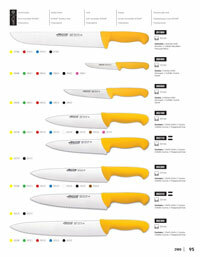 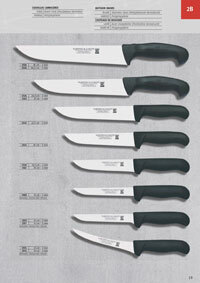 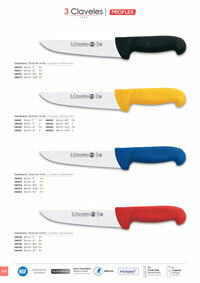 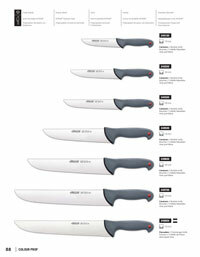 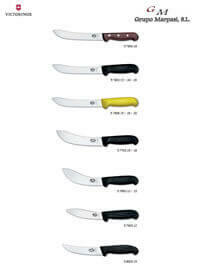 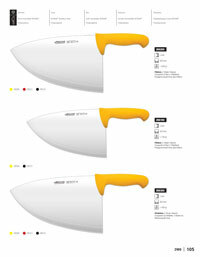 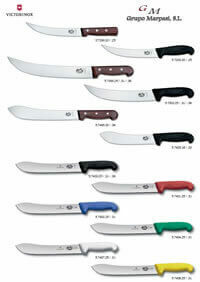 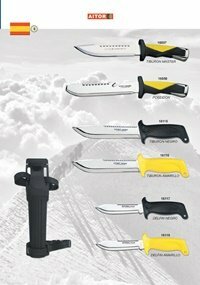 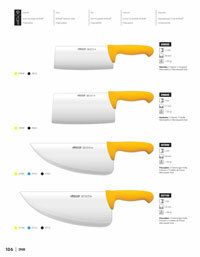 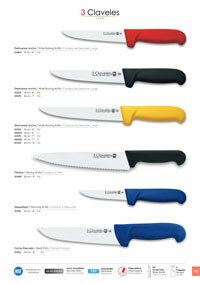 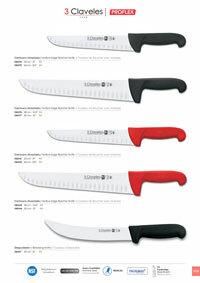 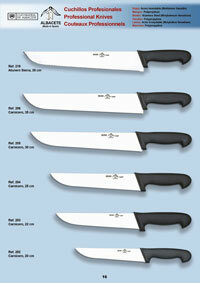 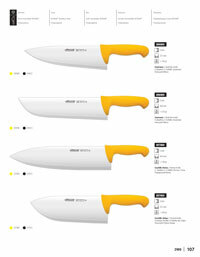 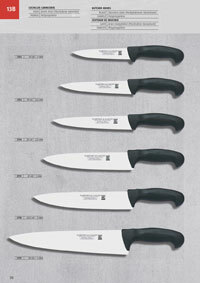 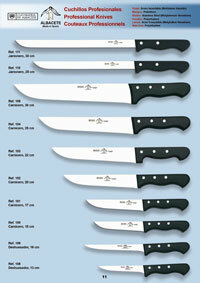 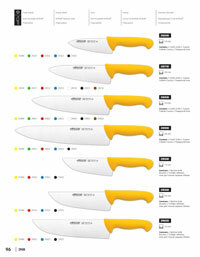 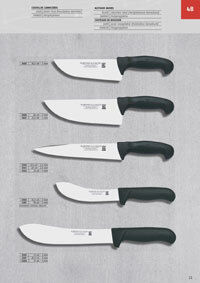 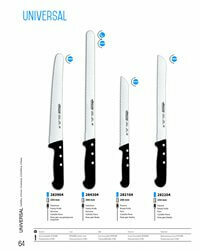 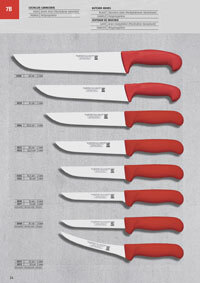 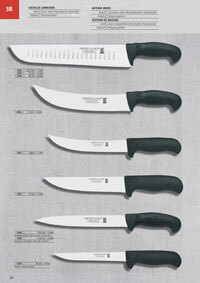 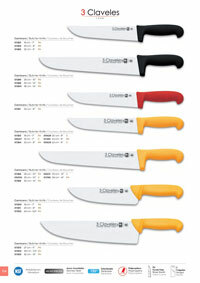 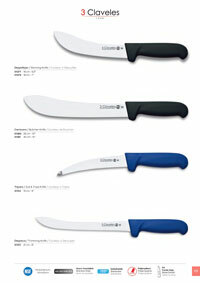 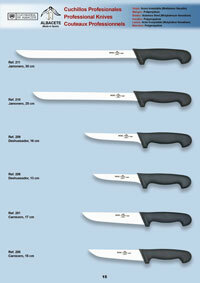 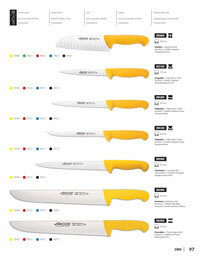 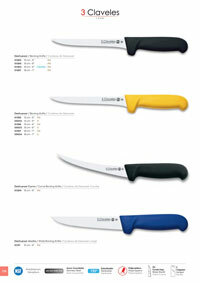 Professional butcher knives, stainless steel blade NITRUM, flexible, elastomeric-coated polypropylene handle. 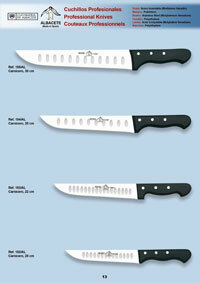 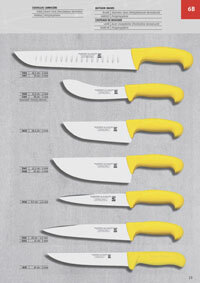 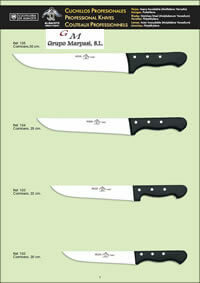 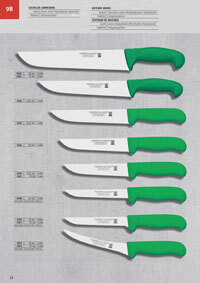 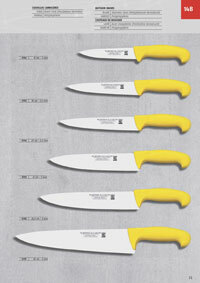 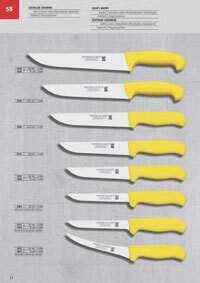 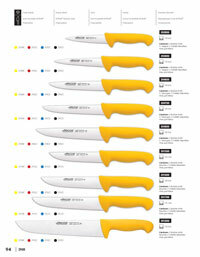 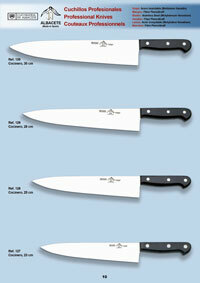 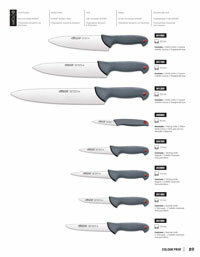 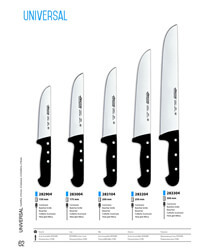 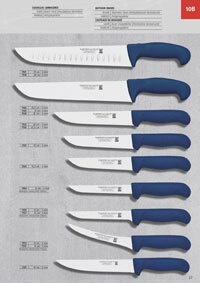 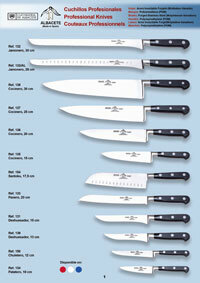 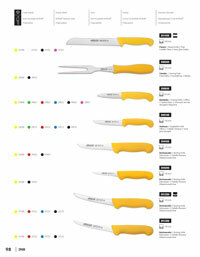 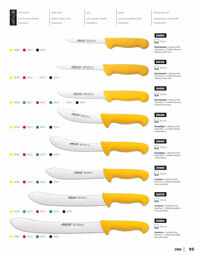 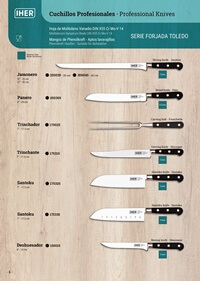 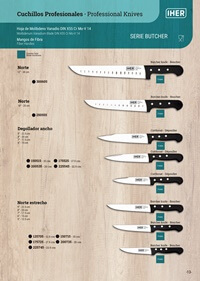 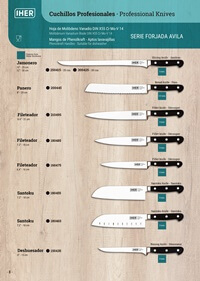 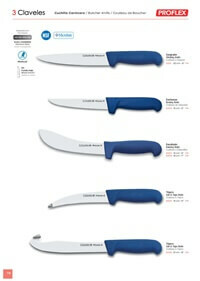 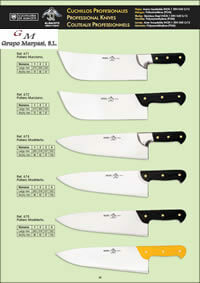 Professional butcher knives, chef and fishmonger. 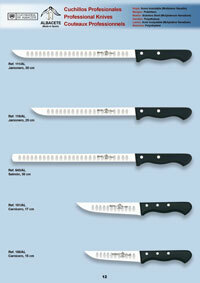 NITRUM stainless steel blade, flexible, elastomeric-coated polypropylene handle. 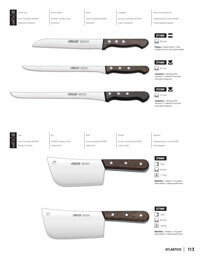 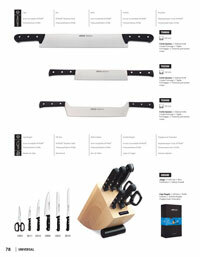 Professional chef knives and butcher, NITRUM stainless steel blade. 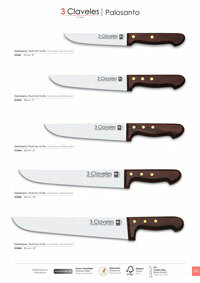 Rosewood handle. 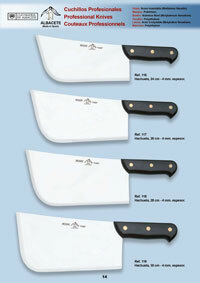 Professional Butcher Steak cleaver / Filleters Knives of 2 mm. 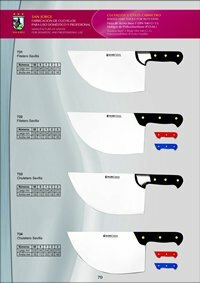 thick. 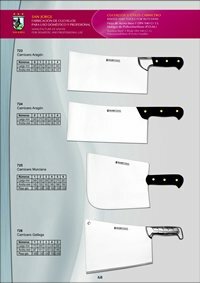 Stainless steel sheet-NITRUM. 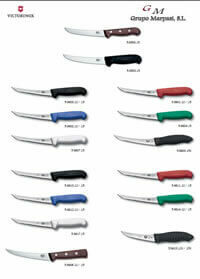 Polypropylene handle. 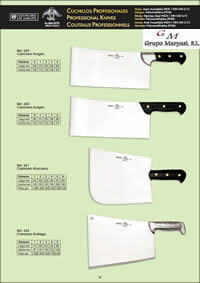 Professional Knives Butcher and fishmonger. 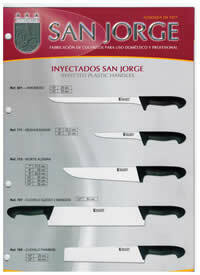 Sheet of stainless steel, polypropylene handle. 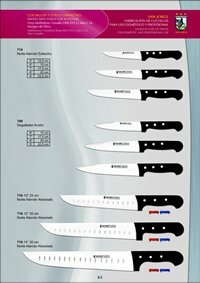 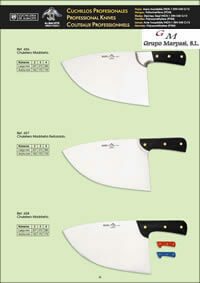 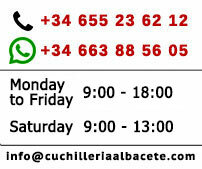 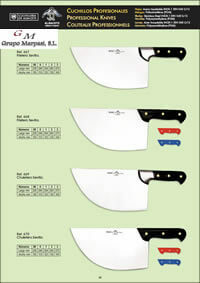 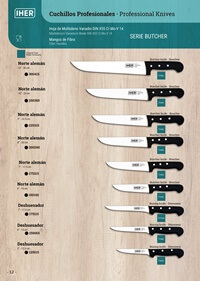 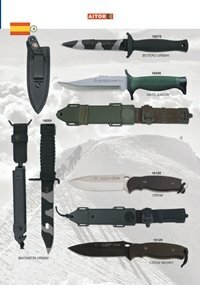 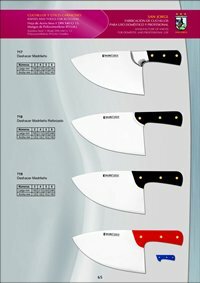 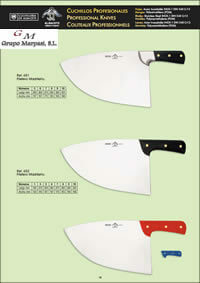 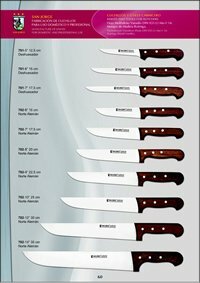 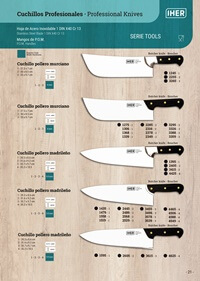 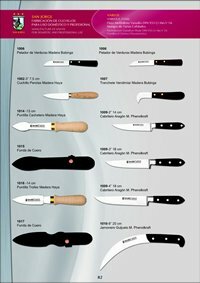 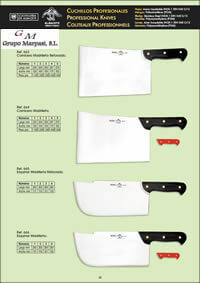 Professional butcher knives, knife Rome, knife blow. 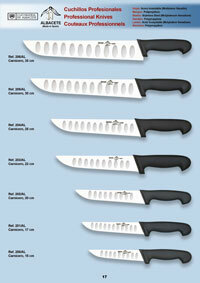 Sheet of stainless steel, polypropylene handle. 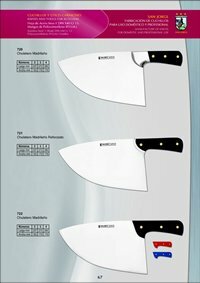 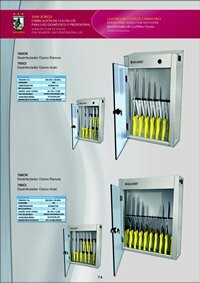 IHER Professional knives with Molybdenum Vanadium Blade DIN X55 Cr Mo-V 14 and Phenolkraft handle, suitable for dishwasher. 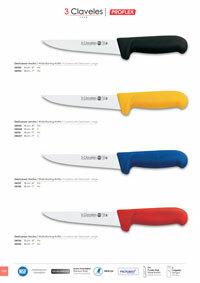 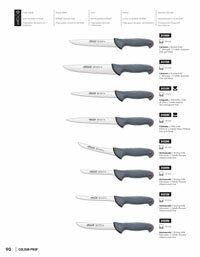 Professional knives IHER with Molybdenum Vanadium Blade DIN X55 Cr Mo-V 14 and fiber handle. 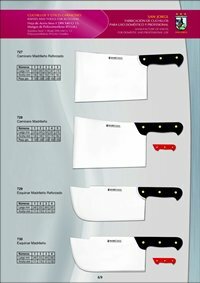 Vanadium Molidbeno Sheet DIN-X55 Cr Mo V 14.